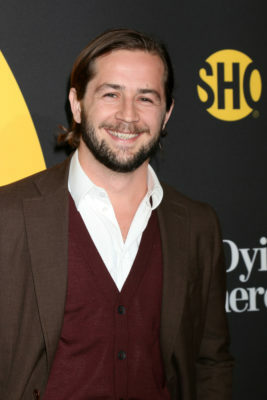 Michael Angarano is heading to NBC. Deadline reports the I’m Dying Up Here star has joined season three of This Is Us. The drama follows a group of people who were born on the same day and explores their connection, the meaning of family, and the nature of love. The cast includes Milo Ventimiglia, Mandy Moore, Sterling K. Brown, Chrissy Metz, Justin Hartley, Chris Sullivan, Susan Kelechi Watson, Jon Huertas, and Alexandra Breckenridge. On This Is Us, Angarano will be playing Jack’s (Ventimiglia) brother, Nicky, who served in the Vietnam War. Season three debuts on NBC on September 25th at 9 p.m. ET/PT. What do you think? Do you watch This Is Us? Are you looking forward to the new season?